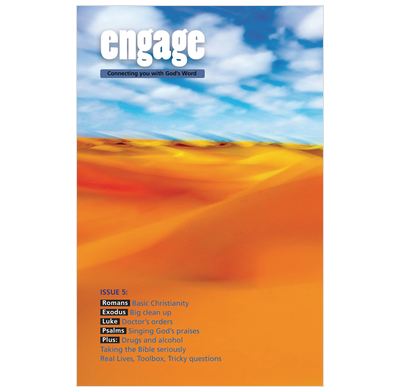 Issue 5 of Engage looks at Romans, Exodus, Luke & Psalms. Issue 5 of Engage - daily Bible reading notes for teenagers. This issue looks at Romans, Exodus, Luke & Psalms. It also has features on drugs and alcohol, the authority of the Bible and what about those who've never heard. Romans: Most important book ever written?